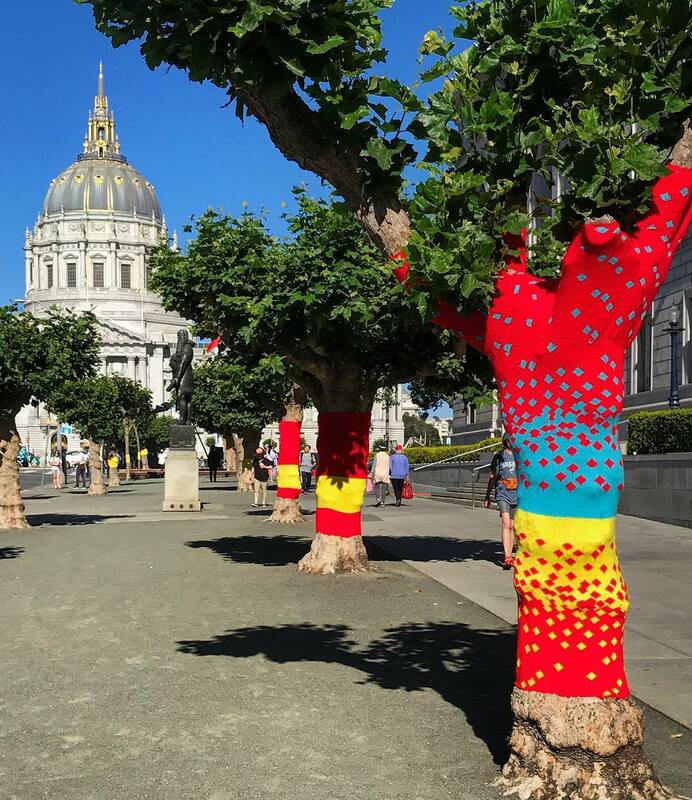 Phase 1, known as “Thread” was installed on about 75 trees in June 2017. 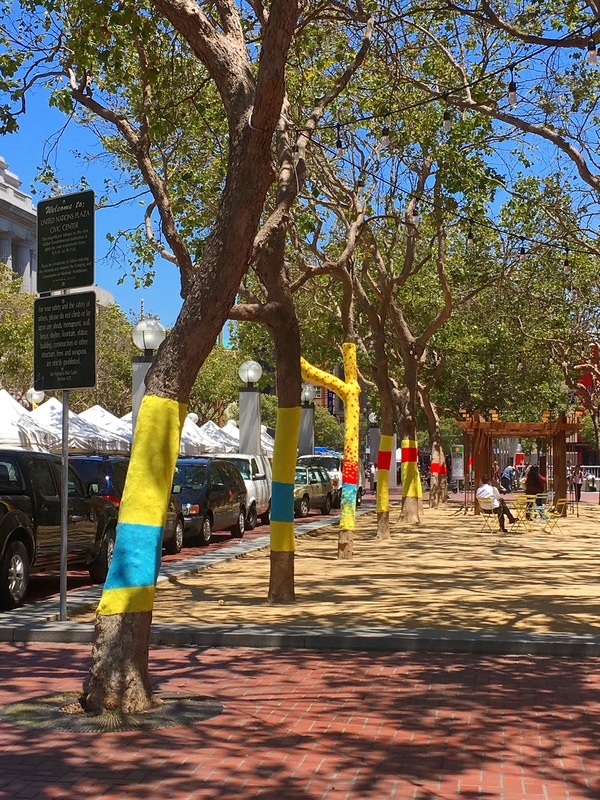 Consisting of brightly colored bands (yellow, red and blue – Civic Center Commons’ colors), the intention of these wraps was to visually connect the Commons. 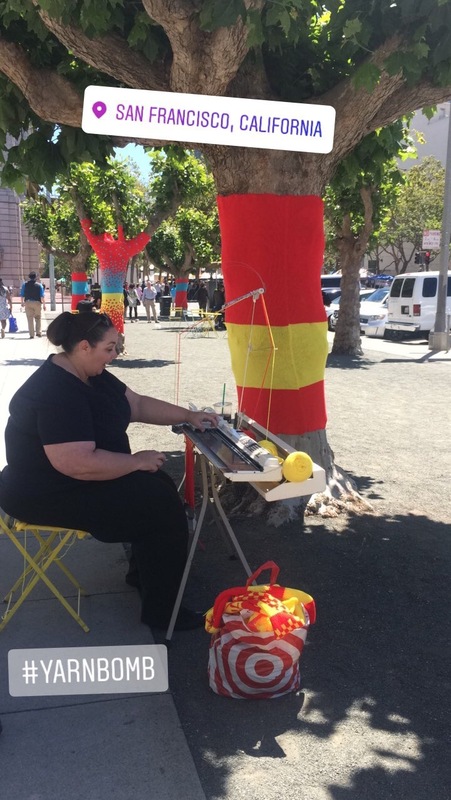 Yarn artists Knits for Life demonstrated the construction process on vintage analog knitting machines in the Commons six times over 3 weeks to engage the community and solicit input for phase 2. Where can I see it? 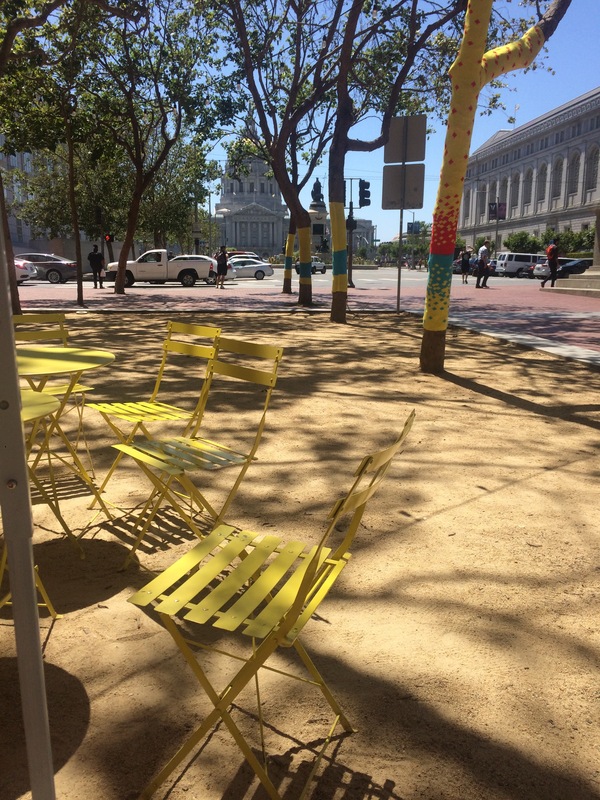 : Civic Center Commons, San Francisco, California. How long will it be up? 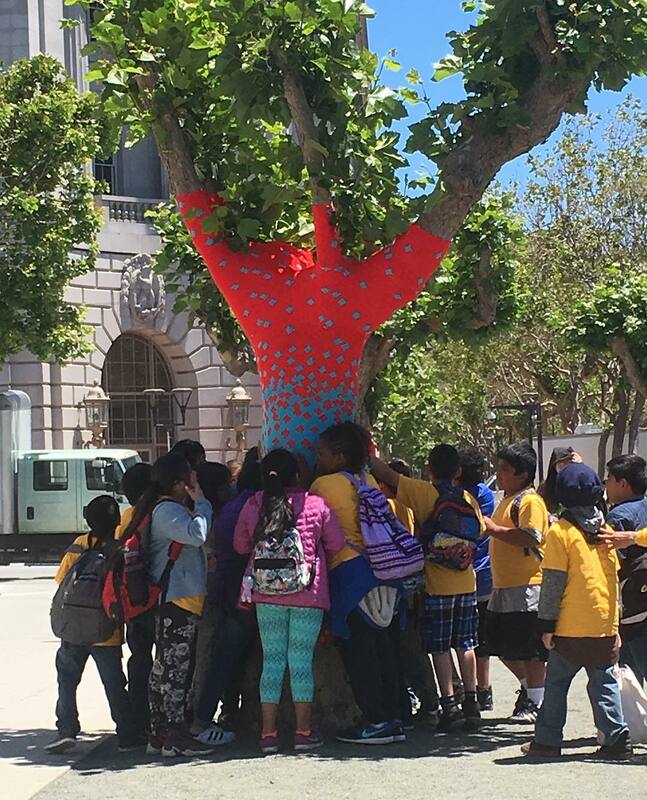 : Phase 1 of the installation, “Thread” stands to remain in place until June 2019. It is being maintained and replaced where feasible. 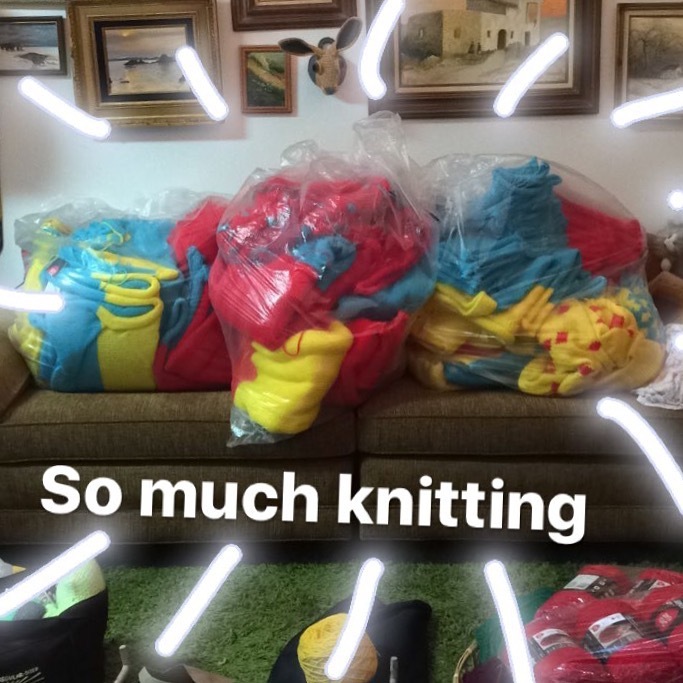 Who knit all this? 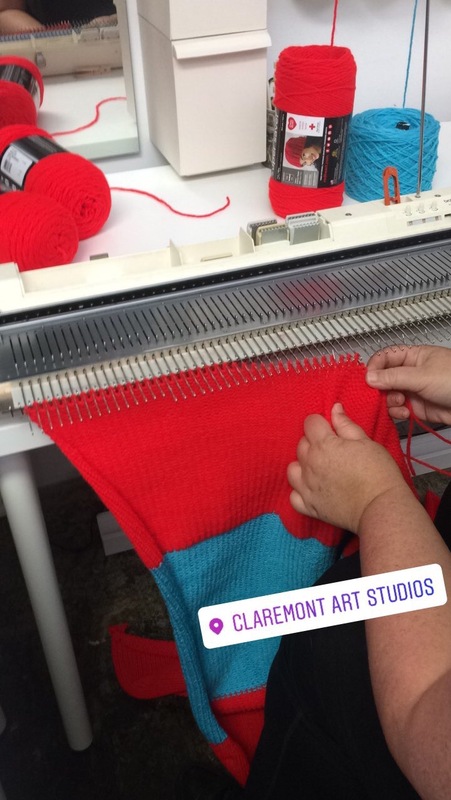 : The sister-artist-duo Jill and Lorna Watt, known as Knits for Life, custom design and knit over 17 miles of durable acrylic yarn on a vintage Brother KH-270 knitting machine in their San Mateo art studio. Each panel is then painstakingly hand-sewn on site with invisible seams to ensure maximum longevity and quality. What does the design mean? 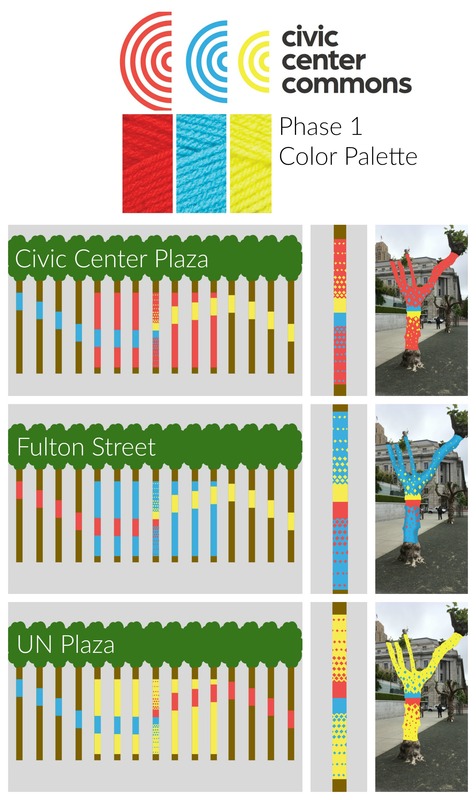 : The concept of “Thread” is to use the Civic Center Commons colors to visually knit three blocks together in a surprising and playful way. 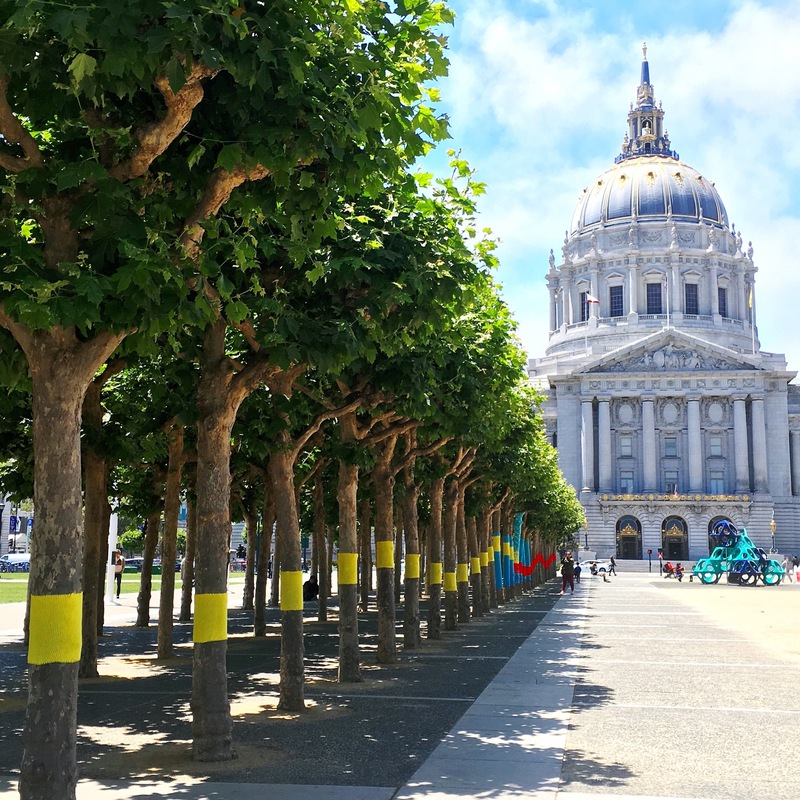 Each color plays across the landscape of trees, meeting the other colors at one spot on each block where they collide in a colorful gradient across one tree.